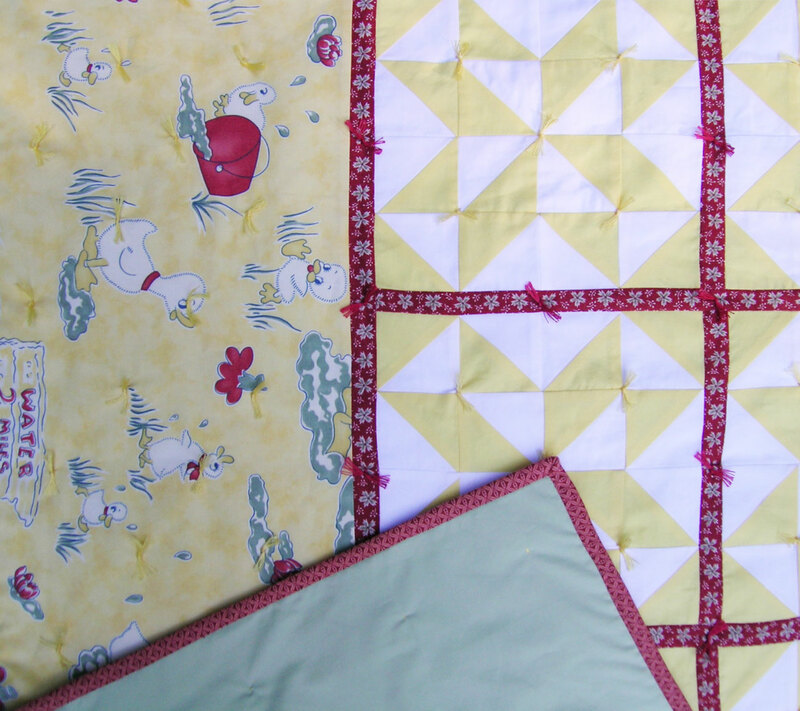 The little duck quilt is tied and bound and ready for my friend’s new baby. Thank you everyone for your suggestions on the floss colors. I hadn’t thought about using two different colors of floss, but (because of your comments) that’s exactly what I ended up doing — red in the sashing and yellow everywhere else. 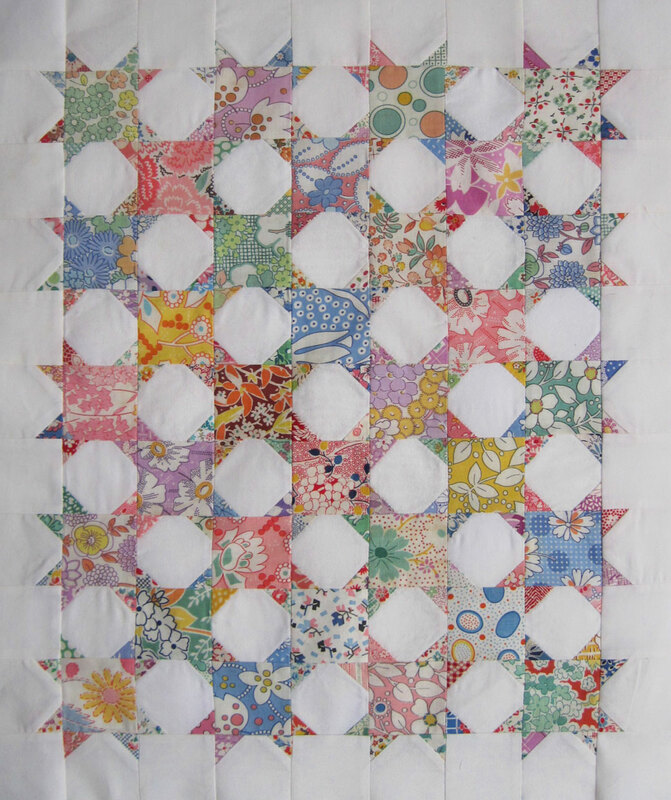 Also, I didn’t have to go to the fabric store to finish the quilt — the two red prints are fat quarters I had in my stash, the gray-green backing is a top sheet I had been using as a tablecloth, and the batting was pieced from 3 scraps. I mean it’s not like I didn’t have to pay for this stuff earlier, but it really pleases me when I don’t have to buy even more stuff to finish these little projects. 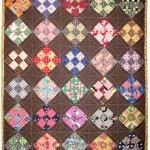 Nobody seems to make tied quilts anymore, but I think they’re cute and, of course, much faster than hand quilting. 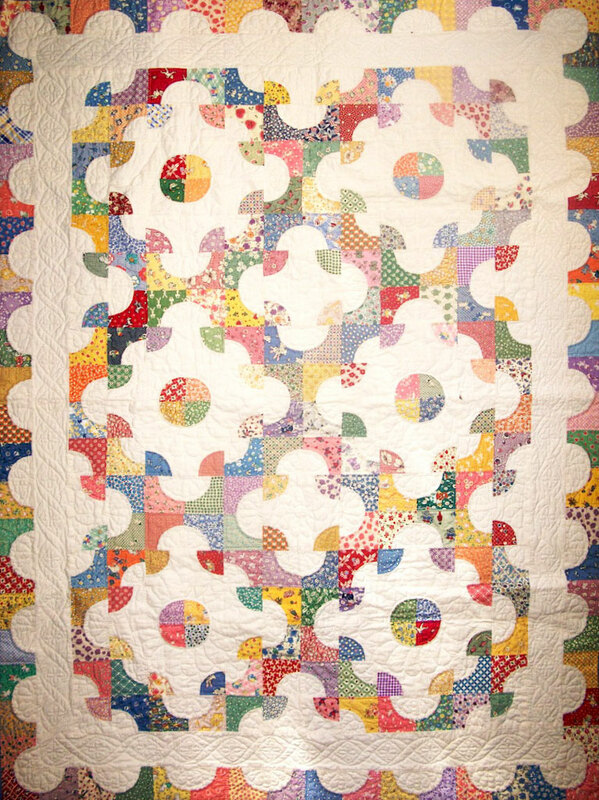 The other choice for these quick projects would be machine quilting, which I generally do on my tablecloths, but I don’t enjoy it much and I’m not very good at it. 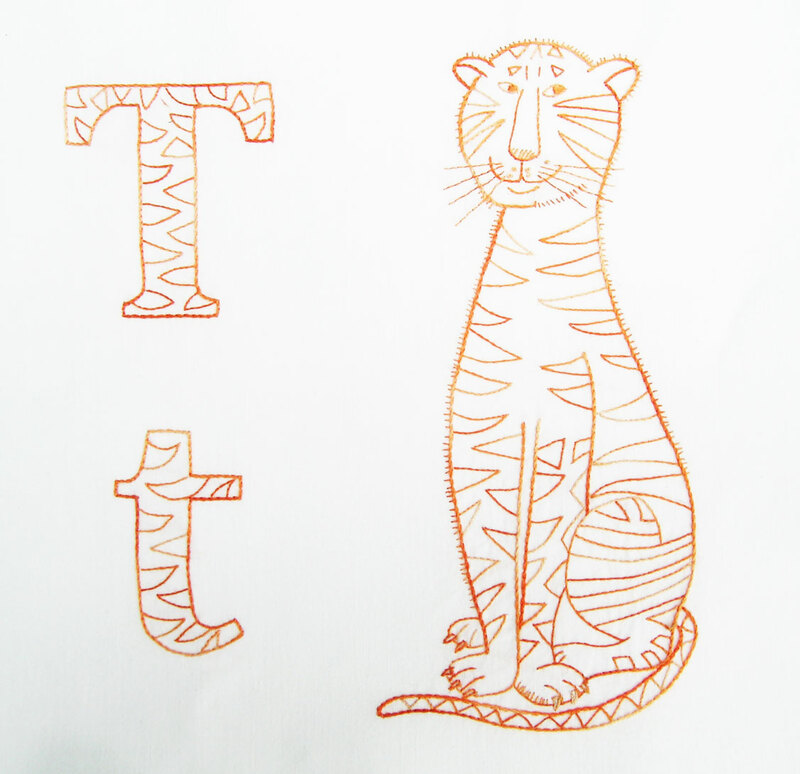 This is really adorable, and the tying will give it a wonderfully snuggly quality! Great solution to the tie problem! 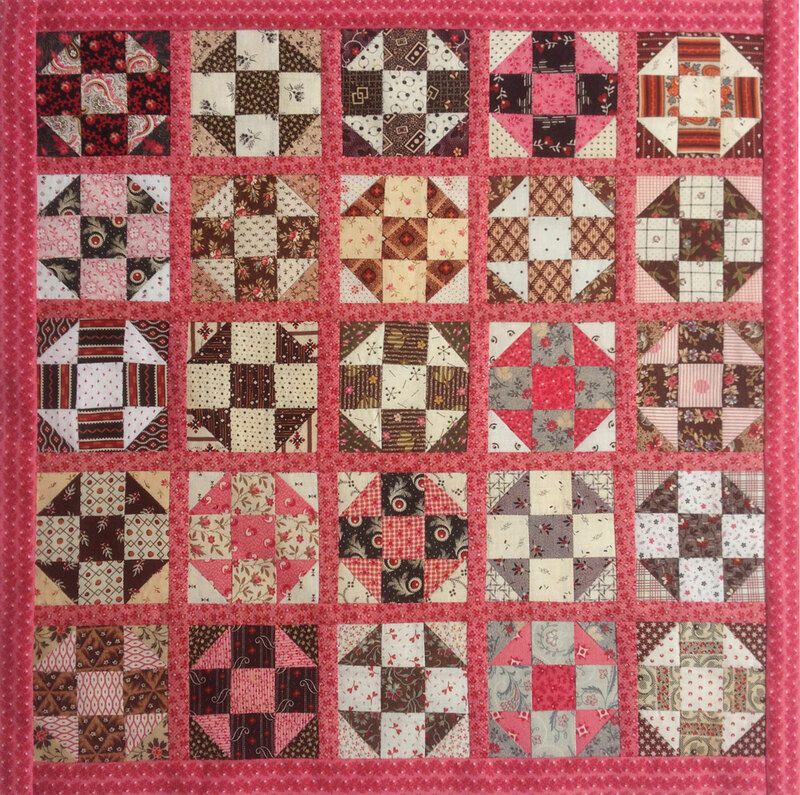 I like to tie quilts too, sometimes for a girly quilt, I will sew a ribbon on with the stitches (3 in place) to hold the layers together. 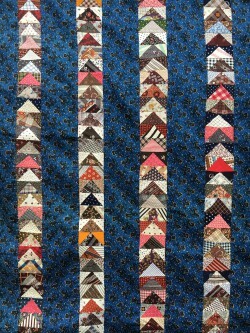 Then I tie the ribbon and stitch through the middle a few times to keep itth bow from coming untied. I use poly ribbon so it washes well and looks unwrinkled. I also like the use of re-purposed items. Nice job! 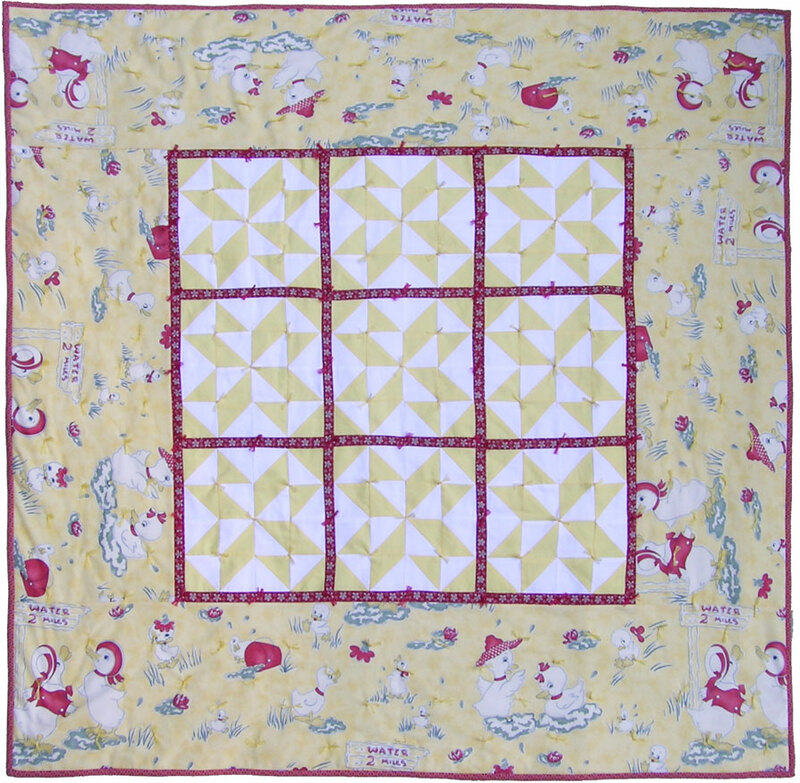 Your ducky quilt turned out SO CUTE! I like the way you tied it very much. 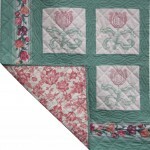 My mom used to tie quilts so I have tried it a couple times and enjoyed it. 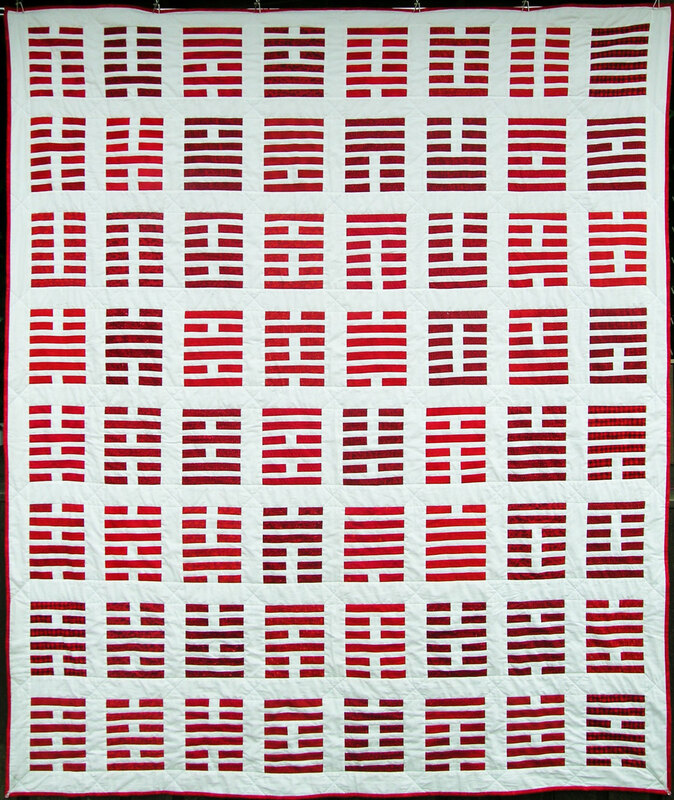 I’m not good at machine quilting either. 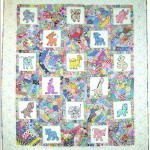 I’m just not free and easy enough to relax and stipple and I don’t like smushing my quilt through the machine! 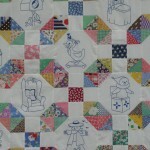 You are giving me the quilting bug again! 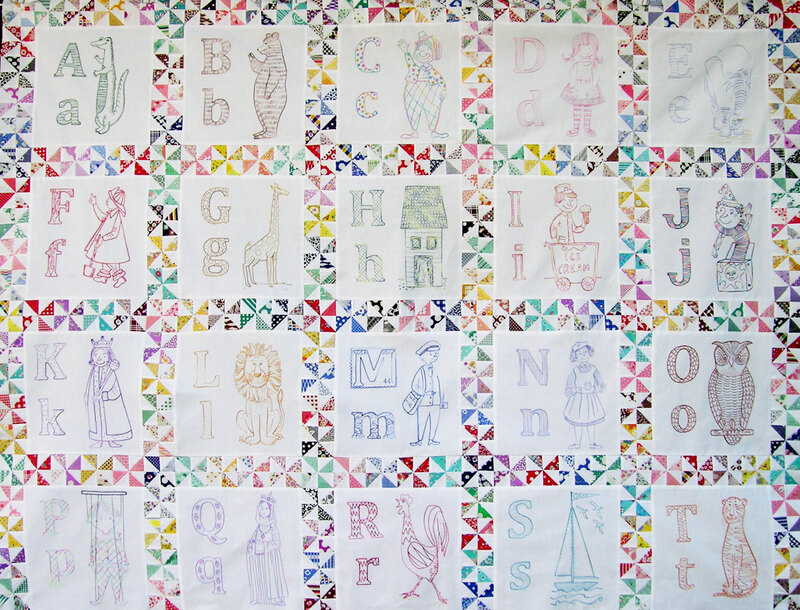 I bet this quilt becomes a favorite of the new baby! The colors and the ducks are perfect!